Published: Dec. 22, 2018 at 01:19 p.m. Published: Dec. 2, 2018 at 02:36 p.m.
Miami Dolphins quarterback Ryan Tannehill finds running back Kenyan Drake wide open for a 3-yard touchdown. 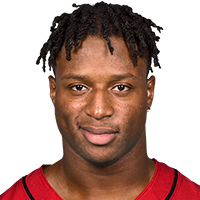 Published: Nov. 25, 2018 at 06:46 p.m.
Miami Dolphins running back Kenyan Drake rushes for a 14-yard touchdown. Published: Nov. 25, 2018 at 04:43 p.m.
Miami Dolphins quarterback Ryan Tannehill tosses a short pass to running back Kenyan Drake who goes 33 yards for a touchdown.